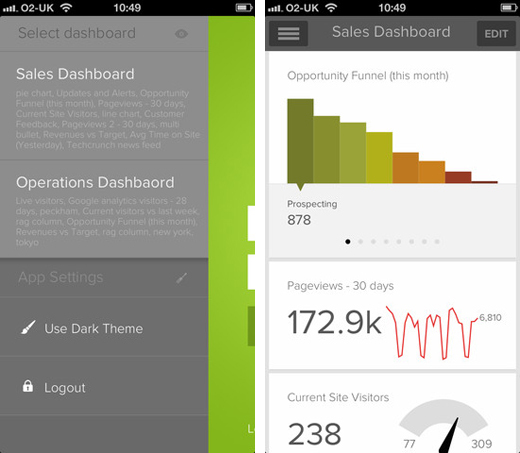 Geckoboard, a company which provides businesses with virtual dashboards for tracking data and real-time analytics on the Web, is launching an iOS app today to help its users stay connected on the move. 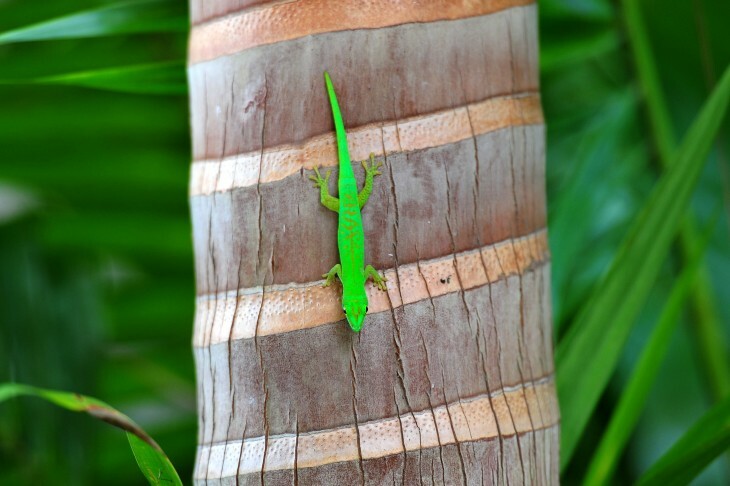 Just like its browser-based incarnation, the Geckoboard app is completely customizable and integrates with over 100 different services, including Basecamp, Magento, Mailchimp and more. Customers sign-in to the mobile app with their existing account; there’s a 30 day free trial but users will need to pay out for one of Geckoboard’s subscription packages moving forward. Pricing starts at $17 per month for a single user and rises to $89 per month for 5 users, $359 per month for 20 users and finally $899 per month for 50 users. A side-bar reveals the numerous dashboards available to the user. Splitting up connections based on how they influence the client’s business – sales, operations, finance, etc – seems to be the ideal solution here, as it makes navigating the app a more seamless and organized experience. Different dashboards are available from a side-menu nestled on the left-hand side of the screen, along with a small summary of the connections contained within. A single tap loads the dashboard in a vertical column, rather like Instagram, allowing the user to sift back and forth at will. The look and interface is almost identical to the browser-based version, and in this instance that’s a welcome sight. All of the panels are very visual, clean and easy to understand, requiring a quick glance and nothing more. There’s no need to zoom-in or out, dig into complex graphs or search for particular datasets. It’s simple, leaving users to take action and do whatever else is necessary to keep their business running. Dashboards can be edited using the designated button in the top right-hand corner of the screen. 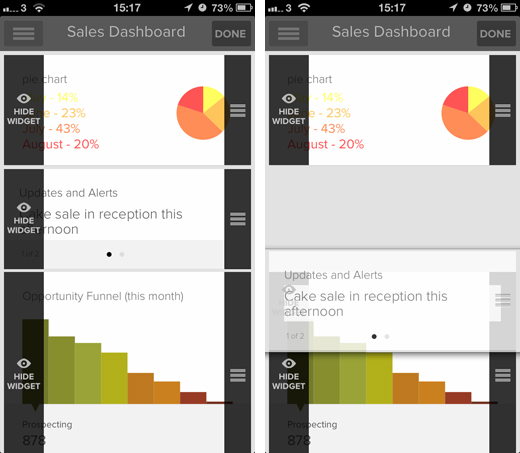 Two vertical bars then appear on either side of the display; the left is used to hide or delete individual widgets, while the right enables users to move them up and down the feed. It all works rather flawlessly and during our tests we found little to complain about. Users can also alternate between light and dark themes and refresh the dashboards by pulling down from the top of the sidebar. Widgets themselves update in real-time, however, so the user doesn’t have to worry about acting on inaccurate data. Geckoboard was launched in 2010 and now claims to be the “largest provider of third-party integrations in the marketplace.” When we checked in last September, the company had just launched its Widget Editor, allowing users to create and share their own custom panels. The company has raised $1.8 million to date, namely through a Series A funding round last year led by Index Ventures and 500 Startups. The new iOS app is available for free right now in the App Store.